I vote for dogs on photoblogs! Love them. Cool shot. Oh, this is nice. Good perspective. They look like great companions. Nice shot! brilliant…i thought perhaps they'd chased you up a tree to start with! Like the perspective on this shot. I had an Alaskan Husky, loved that dog. Very nice picture. 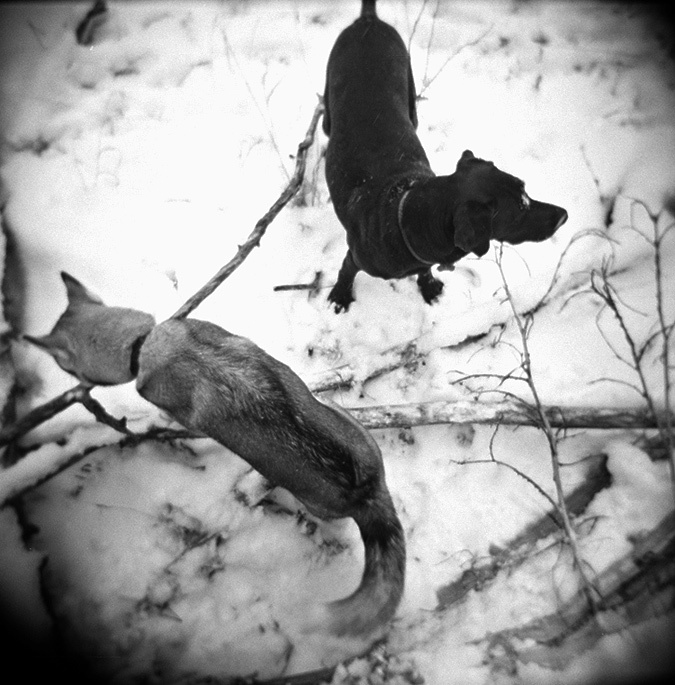 Nice perspective…it gives the feeling like they might just have you treed! Great perspective in this shot – they look like the perfect buddies to have out on the trail!